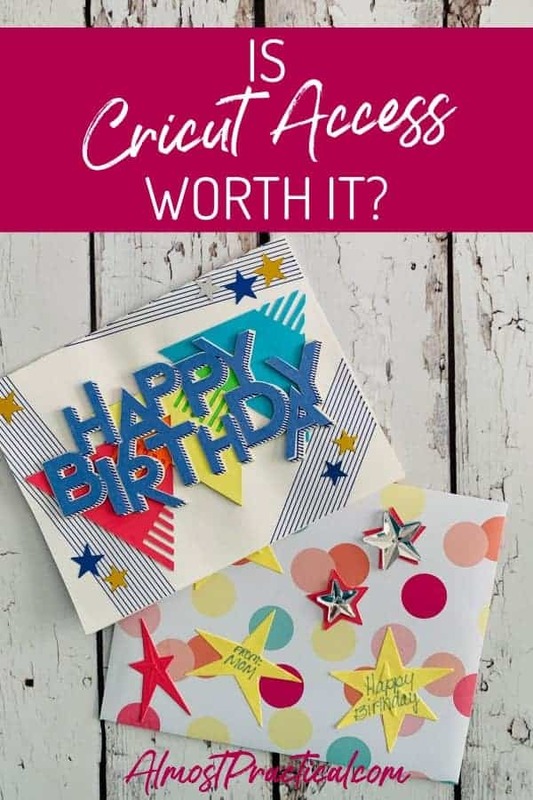 If you have a new Cricut Machine, you may be wondering whether it is worth buying a subscription to Cricut Access. I've been there - so I know the dilemma. Whether you bought the Cricut Explore Air 2 or the Cricut Maker - you just spent a good chunk of change on a pretty awesome cutting machine. And now it seems like you need to shell out even more for a Cricut Access subscription to be able to be able to create all the things. I can tell you about my experience and my thought process, and hopefully it will help you decide. 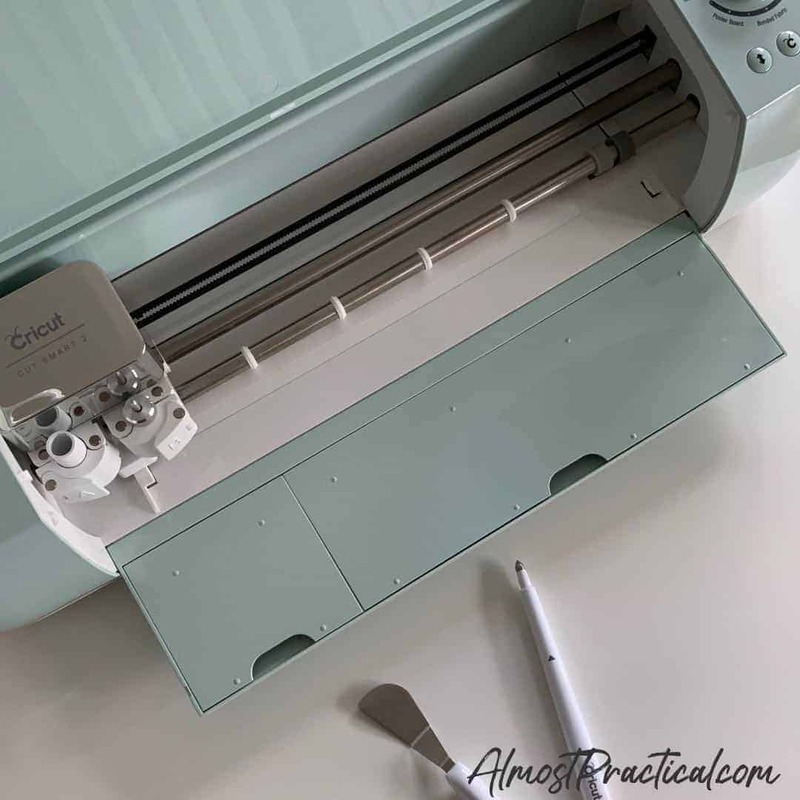 If you have no idea what I am talking about, you can find out what a Cricut machine is, exactly, here. 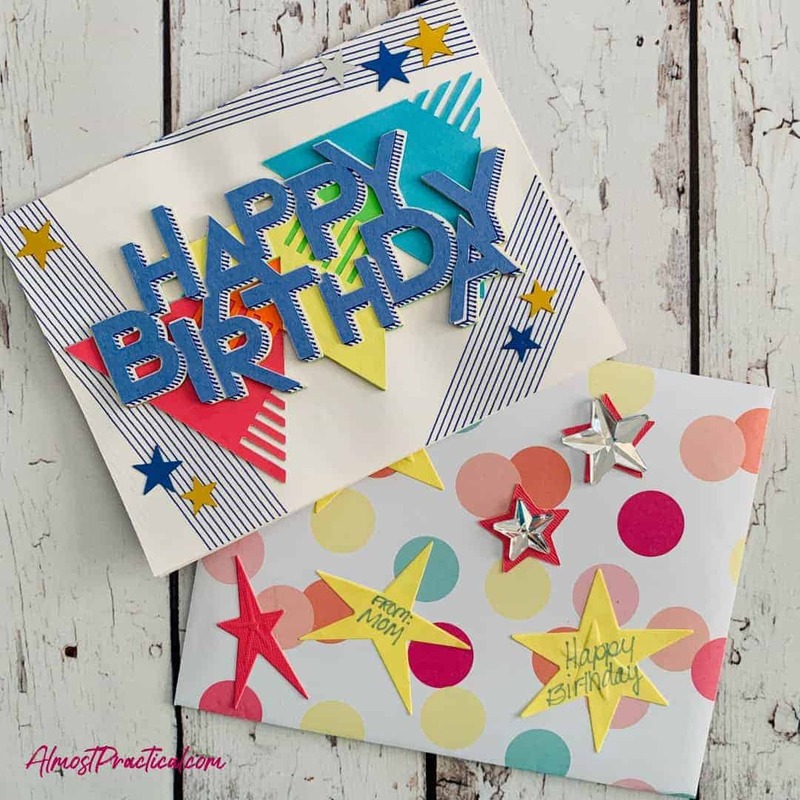 Cricut Design Space is the online application that you must use to create the designs that you want to draw or cut with your Cricut machine. It is free to use, but you do need to create a login. 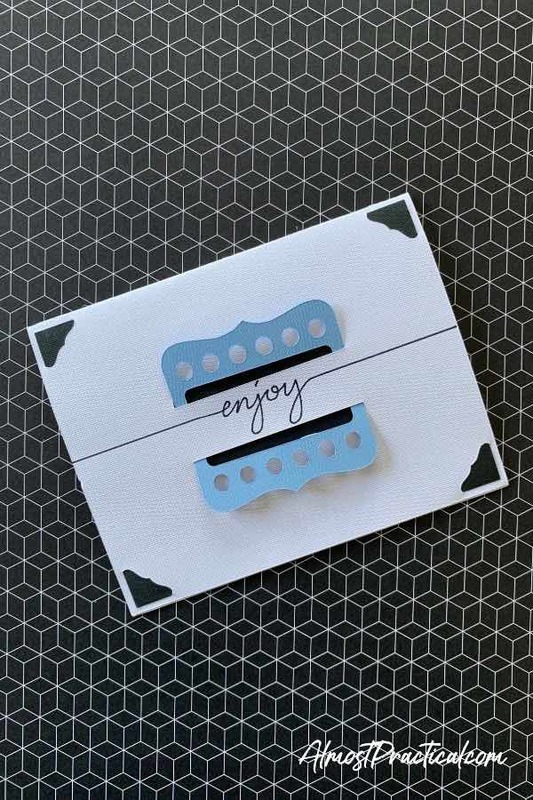 Cricut Design Space has some basic shapes that you can use to create your designs. It also has the design tools that you need to manipulate these objects - think Photoshop for your Cricut. You can also pull in the system fonts from your computer for your text elements. By itself, Cricut Design Space is pretty basic. You would have to do all the legwork to make something awesome. ...gives you monthly or yearly access to the Cricut Image Library of 50,000+ non-licensed images, 1,000+ Ready-To-Make projects, and 400+ fonts. 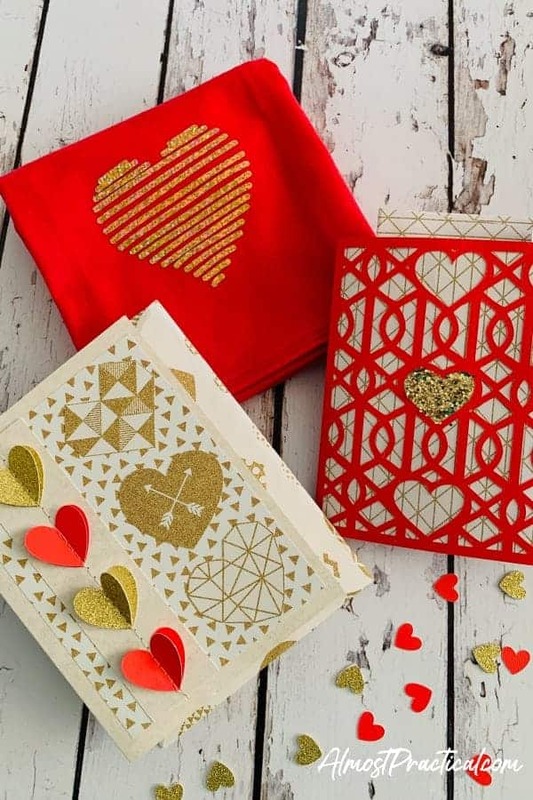 In addition, if you are in the US, you also get a 10% discount on your purchases at Cricut.com which includes machines and materials - but that's not what I want to talk about here. This means that you have a project at your fingertips that you can make whenever the mood to create strikes. Sure you can download a bazillion free Cricut projects online and upload them to Cricut Design Space, also for free. You can also find free fonts to use online. If you are enterprising enough, you can even create your own SVG files for your Cricut. But as a Cricut newbie, I think that is overwhelming. I got my Cricut Explore Air 2 about a year and a half ago. It was sort of an impulse buy - a Cricut machine had been on my radar and it was in the back of my mind to learn about what this thing actually could do. And then Amazon Prime Day happened. There was a pretty good deal on the Cricut Explore Air 2, so I bought one without knowing much about it. Well, I opened the box thinking that I could just start making stuff. Boy, was I surprised about the learning curve involved. This thing called Cricut Design Space was a little intimidating. It actually is pretty intuitive, but at the time there was a lot going on in my life, so I put my brand new Cricut Explore Air 2 back in the box and didn't touch it again for a few months. Finally, I sat down to figure this thing out. I used the free trial to Cricut Access that came with the machine and made a few things starting with the sample project, which is in the picture below. But I still couldn't wrap my head around all that the Cricut Explore Air 2 could do, and my time was limited. So, when my Cricut Access free trial expired, I didn't renew it. I barely touched the Cricut. As time passed, I came to realize that I needed the ease of having a library of projects ready to go. If I was ever going to learn this machine, I needed to actually use it. Sure it would be fun to create my own designs - but I was nowhere close to that level of crafter. The only way for me to get there was to start making stuff. I have made more things in the past month than I have in all the time that I have had my Cricut Explore Air 2. 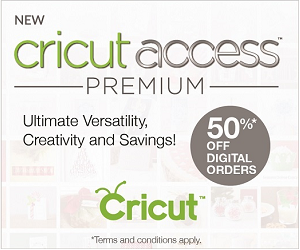 Not only that, I learned that there are actually sales on Cricut materials and supplies that are for Cricut Access Members only. I have used these sales plus my Cricut Access discount to pick up a variety of materials to stock up my crafting supplies - like this Cricut Mystery Box. I even took the plunge and upgraded to a Cricut Maker machine so I could cut fabric and other materials. My Cricut membership was the push I needed to step up my crafting game. By now, you probably can tell that I think a Cricut Access membership is extremely useful. I will tell you this - crafting with a Cricut is not cheap. You have the initial investment of the machine itself. Then you have all the Cricut tools, accessories and materials to consider. On top of that I would say that a subscription to Cricut Access is a good idea. So, these are all the things you want to consider before you buy your machine. And here's a little warning, once you are in - you might go a little Cricut crazy like I did! « 3 Quart or 6 Quart Instant Pot – Which one should I get?